8th grade is that perfect sweet spot for fun and educational field trips, being that very last stop before high school and the ultimate chance to absorb as much information as possible before those last crucial four years of public schooling. For many students, 8th grade brings about many opportunities for student travel and class field trips. For many teachers, 8th grade field trips bring about much stress, planning, and questions. That’s why we’ve compiled the easiest list of popular 8th grade class field trip ideas, each easy suggestion with our personal choice and link to further information on our website. 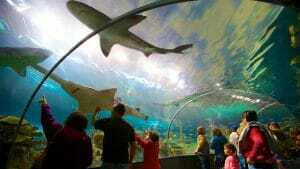 Planning your field trip doesn’t have to be hard, it can be really fun! Grab a cup of coffee and give this a read, then give us a call! There is no question that museums are always great choices for educational field trips of any grade. However, we like this particular option for 8th graders because they are at that perfect age in which they will delight in learning something new, have fun with the exhibits intellectually, and of course enjoy being away from the classroom. Not only will they actually absorb the information, but there are also several different museums both fun and educational for this age group, the sky's really the limit when planning a museum trip at this age! Our Choice: Getty Center, LA - See gorgeous pieces of art that go down as some of the most beautiful and educational in history. Sometimes when you just say "We’re going to a historical site!" to your class you get glazed-over eyes and bored faces, but the great thing is there are literally thousands upon thousands of truly fun historical sites across America. You can make this apply to almost any subject or class theme, with several indoor and outdoor site options in almost every major city. Go to a local homestead, farm, state park monument, war site, or perhaps a historical inn, eatery, factory, or school! This is always a good option for a large group with several different interests. Our Choice: Colonial Williamsburg, VA - One of the most historically accurate United States sites possible to visit, sure to impress both student and teacher! This option is sort of on the vague side, but we at AST all agree that there is no better way to get your class excited AND teach them something valuable about history, geography, and culture than with a trip to a major city. There are obvious favorites, but it will all just boil down to what is closest to you or most doable budget wise. New York City, Washington D.C., Los Angeles, and St. Louis all offer amazing scenery, museums, and parks perfect for your 8th grade trip. 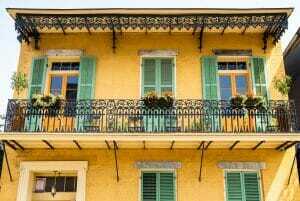 Our Choice: New Orleans, LA - This city is vibrant in so many ways that will be beneficial for your 8th grade class, from the history in the streets to the food and culture-filled museums. Not many people tend to consider a dude ranch or farm for their 8th grade class trip, but truth be told this may be one of the easiest and hands-on educational options out there! There are several dude ranches across America that will teach groups to ride and ranch, as well as countless working farms willing to show guests the value of hard work and science behind farming and animal care today. If your class is from a big city, this option is highly recommended. Our Choice: Cagle’s Family Farm, GA - Learn all about herding, feeding, and milking as you tour this working farm and see the work it takes to harvest food up close! No matter where you are from, you most likely will have several local state options for visiting universities, and we think this is the perfect time for students to do so. While they won’t be asking for applications during your visit, 8th graders visiting college campuses will start gearing their minds toward higher education and allow them to think freely about where they want to go, why they want to go there, and what kind of work they need to do in the meantime. Whether it’s local or Ivy League, this is always a fantastic option. Our Choice: Take your student group to your most popular state university’s college football or basketball sporting event. This is a great way to see the campus, student life, and think about the academics it took to get here! Now we know that this option may not be the most beneficial education wise, but we also know that there isn’t an 8th grader out there who wouldn’t love a day at an amusement park. This trip option is a great tool for end of the year motivation and celebrations, as well as test score achievement trips. While most of the trip will be all about fun, you can even stop to teach a impromptu lesson on motion and energy. We guarantee the lesson will sink in while they are screaming their lungs off on a roller coaster! Our Choice: Six Flags St. Louis, MO - Six Flags is great about working with large student groups and provides all the best in fun, entertainment, and education options. (Be sure to ride the Boss while here). Further Info: Top Theme Parks in the U.S. Taking your 8th grade class to a major zoo or aquarium is always a great option as the wildlife institutions provide seemingly endless opportunities for education about biology, ecology, and geography. This may be the brink of students becoming "too old" for a zoo trip, but if you do it right and plan a truly fun trip away we’re sure your students will love getting away and spending a day with the animals. Our Choice: San Diego Zoo, CA - One of the most popular and educational zoos in the entire nation, a definite must-visit if in California. Both national parks and botanical gardens provide unique learning opportunities that we feel are perfect for 8th grade learners. At this stage in schooling any lesson outside of the walls of an institution are welcome, and embracing the importance of conservation, ecological education, and wildlife lessons are extremely important. A botanical garden will show your class the importance of local and exotic flora, and a day away at a national park will teach them the importance of wildlife conservation and observation! Our Choice: Yellowstone National Park - Teach your 8th grade class all about hot springs, thermodynamics, and geysers in this fun and extreme learning environment. Like the zoo/aquarium option, a planetarium may seem borderline out of date for 8th graders, but we find that with today’s state of the art technology there is always something new and exciting to discover at a planetarium. Live shows and classroom type lessons can open doors to the space realm your students they never thought existed and your class can walk away with so much new knowledge after one visit to your local planetarium. 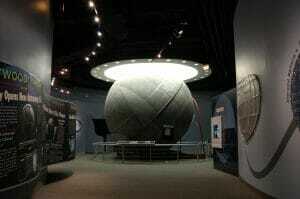 Our Choice: Adler Planetarium, Chicago, IL - This planetarium is a highly immersive and educational state-of-the-art experience even adults will enjoy. Sometimes we often overlook the simpler learning experiences, like a night on the town or day away watching a local production or major Broadway play/musical. These entertainment experiences can open a world of opportunity and education in your 8th grade class that may not have been there before and give them some cultural education they may not have had all year. Theater, drama, and music classes will especially like this field trip option. Our Choice: New York City Broadway Scene, NY - There is truly no better place or way to take in the culture and essence of performing arts than in NYC.